In 1903 the Pelissa family purchased 35 acres between the Napa River and the Napa Valley Railroad in Calistoga with a single $10 gold coin. Thus began one family's history in the Napa Valley. Today the same family owns approximately 1,000 acres in Napa Valley with over 300 acres designated as a preserve intact with its natural state and 635 acres farmed as certified organic vineyards. Throughout the 20th century, the family grew and their experience expanded across the valley. Then in 1993 the heirs of the Pelissa family acquired the Oakville Winery property from Heublein – Inglenook. The winery was originally built in 1877 by two Frenchmen, Jean Adolphe Brun and Jean Chaix and it was the 9th bonded winery in California. The “Brun and Chaix Oakville Winery” passed through various hands in the 20th century and when the Pelissa family acquired it they formed the Napa Wine Company and Bonded Winery #9. The winery and adjacent Pelissa Vineyard, totals 62 acres on the corner of Highway 29 and the Oakville Cross Road. 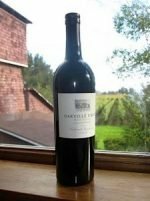 In 2009 the first vintages of Oakville Winery Estate Cabernet Sauvignon and Zinfandel were released. This delicious Cabernet Sauvignon is a style that reflects modern Oakville, while at the same time captures the classic flavors of the region. Rich with notes of cassis, cherry, and ripe plum. A beautiful, well rounded mouth feel. Medium bodied with an elegant finish.Layers of dark red fruit flow effortlessly from this radiant, expressive Cabernet Sauvignon. 92 Pionts – Robert Parker. Categories: Country - United States, Region - California, Red - Cabernet Sauvignon. Better than ever. Brenda continues to show her love for a big, well made Cab. If you are a Cabernet lover, this is the wine for you. 100% bold, decadent and delicious Cabernet Sauvignon. 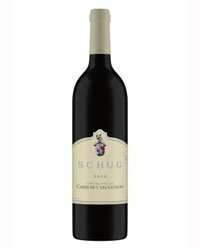 Supple and generous, the 2013 Schug Cabernet Sauvignon, Sonoma Valley is a solidly built Cabernet blended in the classic Bordeaux style that Walter Schug pioneered in California while winemaster of Joseph Phelps Vineyards. A ripe mouthful of currant and cherry flavors is framed by fine tannins and a touch of spicy oak. It has a classic bouquet bursting with berries, cassis and spice. A generous portion of Merlot, Cabernet Franc, and Malbec are blended in to add charm and grace, further enhancing the bright berry flavors and lively acidity. Try this wine with hearty stews, wild mushrooms and grilled meats. Though ready to enjoy now, this wine will develop gracefully with 5 to 7 years of additional cellaring. Here’s your opportunity to help even more. 25% of each sale of the Compassion without Borders Wine goes directly to the Compassion without Borders non-profit group. Compassion without Borders focus their passionate efforts in Mexico and the Central Valley of California where the need is the greatest and where animals are the very least likely to be helped due to financial, geographic, and cultural barriers. 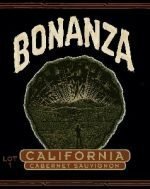 Their stunning label is paired with our outstanding 2015 Sonoma County red wine, selected from Brenda Lynch’s best barrels of Cabernet Sauvignon. Tight aromas of new French oak and hints of red and black fruits signal the wine’s youth. Bright fruit flavors combine with caramel and toasty oak in a structured mid palette that explodes into a chewy, dense finish with sweet, ripe tannins. Drinks great now!